Seen on the back of a Pepsi truck in Brooklyn. 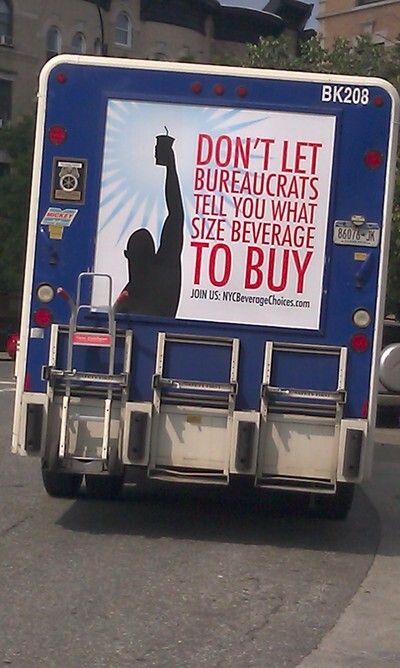 At least the soda industry is defending itself against Mayor Bloomberg rather than folding or settling. At least for now.